Anyone hear of a load of Baseball Cards for sale? I had 38 years of collecting stolen from a storage unit at the Chesapeake Motel. There were 60+ 3,200 count boxes and numerous binders. I lived in the suburbs of Washington, D.C. for fifteen years without a single card ever leaving my collection without my knowledge. I move here and in less than a year, a lifetimes worth of memories are gone. Any help would be appreciated and rewarded appropriately. Whoever is responsible for this theft of my memories and lust . . . I hope that your dog (or applicable pet) dies a slow, cruel, cancerous death. Their pet had nothing to do with it. Save your bloodlust for the thief. "There's no way to rule innocent men. The only power any government has is the power to crack down on criminals. Well, when there aren't enough criminals one makes them. ('Atlas Shrugged' 1957)"
That's exactly what's callled for here, logic! I feel your pain. Someone tried to steal my motorcycle a month after I got it. Luckily they were incompetent. BCHEVY POST SEEMED LIKE A HELPFUL LEAD TO CHECK AS ASKED.....I GUESS NOT. I have a status now? "Eastern Shore Craigslist has a big lot listed, he'd have to be super dumb to steel them and list them locally though... 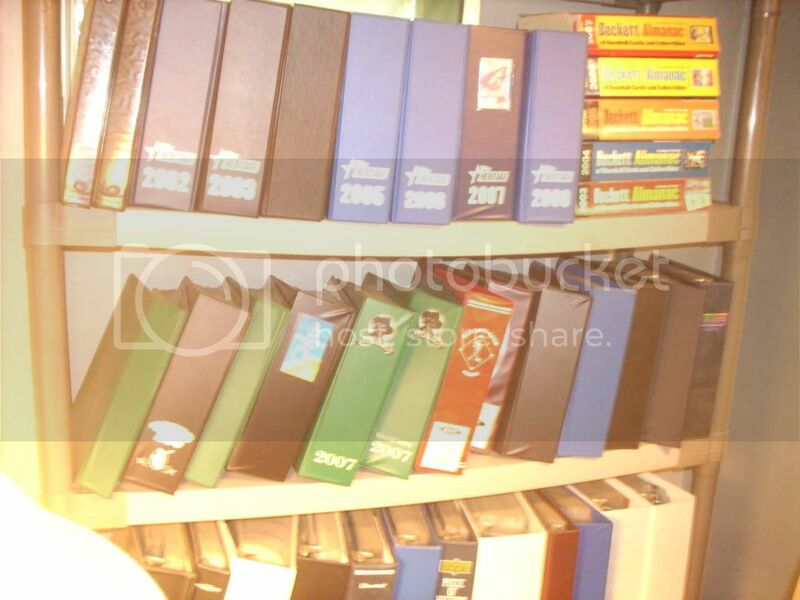 There's quite a lot of big collections out there..... "
Not even close to this collection! Dope fiends are not known for their research skills, nor their legitimacy. 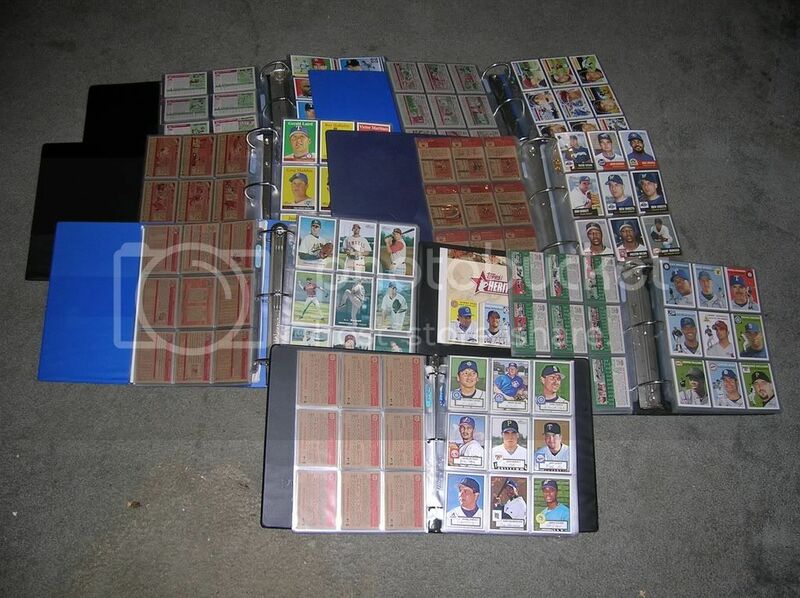 There is a complete set of 1961 Topps Baseball and a 1953 set that is 3 cards shy of a total set. I was doing this when most of your mother's milk was dripping from your chin. Yeah, tell me about better or (bigger) collections. get a grip guy, it wasn't the move here the lost your cards, it was your thought that security was a storage bin. Maybe now he can get a grownup hobby. who would even want to help someone with that kind of attitude sorry about your luck!!! "Maybe now he can get a grownup hobby"
Yeah, these "grown up" hobbies that seem to be a way of life on the Eastern Shore as opposed to 38 years of dedication, joy and knowledge. Sounds like a a great trade-off. bchevy, I apologize for my less-than-well-thought-out response. No excuses, just a very bad moment on my part. You tried to help and I responded with a undeserved post. Once again, I apologize. It most certainly was the move to the Eastern Shore that resulted in the theft of my collection. There's no way around that. Forgive me for having faith in my fellow citizens. How naive and adolescent can I be? I don't know what "redneck stardom" means, but I do know what "chicken necker" means. Great retort . . .
OM Goodness wishin a pet to die go stand in a corner!! I am sorry for your loss of 38 yrs but come on now, hope you are not raising children you are misguided sir! You know, the Sheriff is a good ol' local eastern shore boy.....might need to get the Staties or Feds in on this caper. Nope! Sorry! Aint buyin it. I moved here 20 years ago with more schtuff than 3 UHauls wanted to carry, been here 20 years and guess what, NO THEFTS. I'm guessing that maybe nothing is your fault and you're in the "Blame someone else all the time" club, Am I right? I'm obviously coming off as the bad guy here. cards will be appreciated and rewarded. Never underestimate the Power of Stupid People in Large Groups..
Those aren't mine. My complete sets are in Binders (custom screen printed). 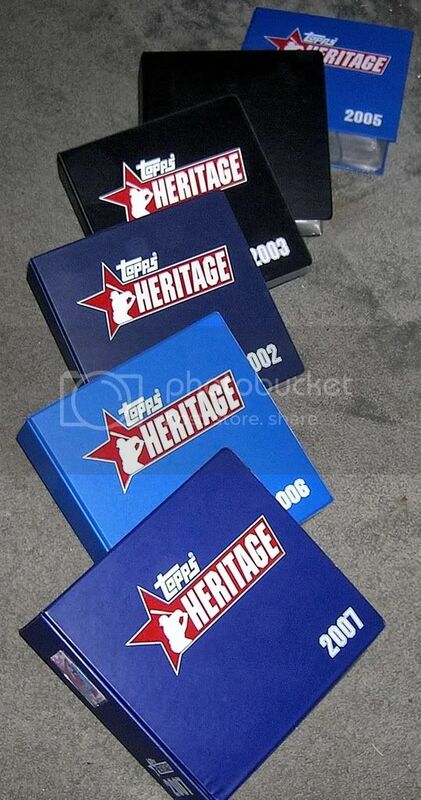 1953 Topps, 1961 Topps, 2001-2008 Topps Heritage and many others. 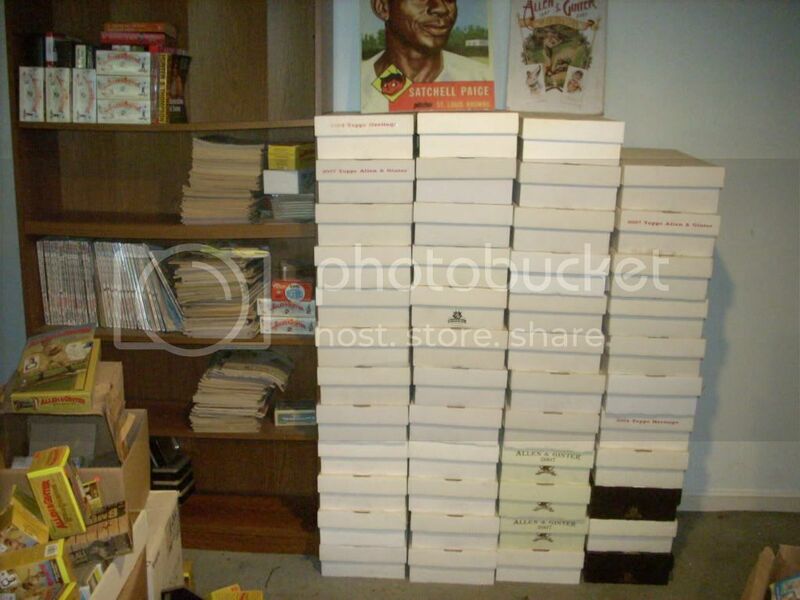 My dupes are stored in 3,200 count boxes (60+). Thank you, once again, for your link. WOW! i thought we were the only ones w/ that insane amount of cards!!! Not being mean, it's just nice to know that we arent' the only ones... my father in law collected and wanted to open a store & well.... let's just say we have enough to do that! I think your collection may exceed ours... but it sure takes up a whole lotta space!